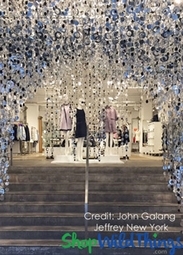 Our Brand New DazzLED Line of LED Event Lighting is made exclusively for ShopWildThings - and we are crazy people for quality. Each LED light is tested (at our insistence and at an extra cost to us) to be sure that it's beautiful and perfect before it's packaged! We've got the world's best lighting from Sumix and Floralyte for Acolyte. Create a splash with submersible LED light bulbs. Our amazing 10-foot-long commercial-grade LED light curtain was featured on the hit TV show Grey's Anatomy - how's that for a conversation-starter? Click on our colorful photo pages to see our LED lights in action on movie sets. Top studios from Sony to Disney and Paramount are among our regular customers. 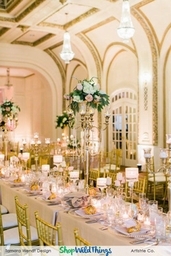 Browse our pictures and idea pages to see the wow-power of our LED lighting at Hollywood galas, beautiful weddings and interior Decors for celebrity homes. 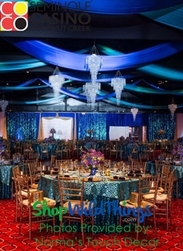 The world's leading event planners turn to ShopWildThings. 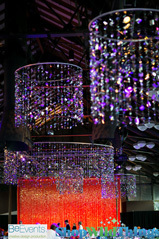 Let us help create spectacular lighting for your home, event or set. 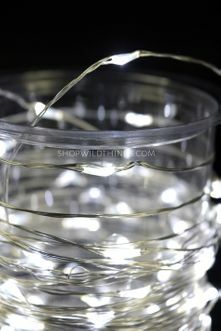 String Lights - 50 Large Round LED Bulbs - Warm White "Fairy Lights"
Acolyte Toronado 20 - 9 ft Memory Wire Waterproof Acolyte LED Light Strand - Small "Hideable" Round Battery Pack! COMING SOON! LED Flexible Light Strip w/Adhesive Back - Plug-In - Pure White 35"
LED Flexible Light Strip w/Adhesive Back - Plug-In - Warm White 35"
COMING SOON! LED Flexible Light Strip w/Adhesive Back - Battery Operated - Pure White 35"
COMING SOON! LED Flexible Light Strip w/Adhesive Back - Battery Operated - Warm White 35"
DazzLED Vase & Centerpiece Lighting - Warm White Lights - 4"
DazzLED Vase & Centerpiece Lighting - White Lights - 4"
COMING SOON! DazzLED Vase & Centerpiece Lighting - Warm White Lights - 6"
LED Vase Light - White Light - Square, Battery Operated 4.75"
Fairy Berries - White - 10 Pcs - Floating, Glowing Firefly Effect! Hanging Metal Sphere - Flickering LED Candle w/Timer 13 1/2" - Orb Folds Flat! Add Florals! We have all the remote controls, batteries and cords you will need, too. Our delightful how-to videos show how easy and fast it is to install our LED lighting. Our fun videos are your guide to razzle-dazzle lighting ideas. 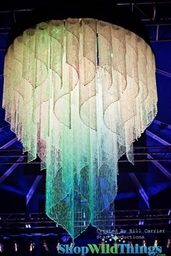 We have beautiful indoor/outdoor chandeliers, candles, ceiling drapes and canopies, paper lanterns, trees, branches, strands and light curtains using LED lights. 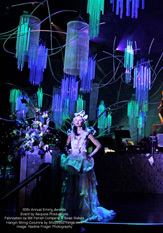 LED lights save on energy, so your events can be green and gorgeous!